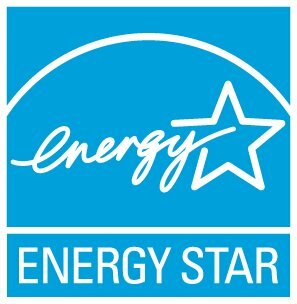 Are commercial luminaires eligible for ENERGY STAR? Are decorative lamps with performance and equivalency claims that are not covered in the tables of Lamps V2.0, Section 9.2 – Light Output, eligible for ENERGY STAR certification? Are lamps equivalency claims restricted to the exact shape and wattage combination that appear in the referenced ANSI documents? Are lamps with additional features such as battery backups, motion sensors, etc. allowed, and if so what features would be allowed vs. not allowed? Are recessed troffer fixtures, high bay lights or TLEDs elligbile as a downlight under the Luminaires specification? Are solid state lighting (SSL) retrofit kits designed to replace externally ballasted compact fluorescent lamp (CFL) downlights covered by the scope of the ENERGY STAR Luminaires Specification? Are solid state lighting (SSL) retrofit kits that bypass the existing compact fluorescent lamp (CFL) ballast covered by the ENERGY STAR Luminaires V2.0 specification? Are solid state lighting (SSL) retrofit kits that use a compact fluorescent lamp (CFL) ballast covered by the ENERGY STAR Luminaires specification? Are subcomponents listed on the Certified Lighting Subcomponent Database (CSD) subject to verification testing? Are Supervised Manufacturer Test Laboratories/Witnessed Manufacturer Test Laboratories (SMTLs/WMTLs) required to participate in proficiency testing for IES LM-79 tests? What tests are required to list a ballast on the Certified Lighting Subcomponent Database (CSD) so that it can be used to qualify a product to the Luminaires specification? What tests are required to list an LED light engine on the Certified Lighting Subcomponent Database (CSD), so that it can be used to qualify a product to the Luminaires specification? When certifying a 3-way lamp to the ENERGY STAR Lamps specification, how should the different light level equivalency claims be handled?